The book of the popular movie STARRING GAEL GARCIA BERNAL NOW A NEW YORK TIMES BESTSELLER The young Che Guevara's lively and highly entertaining travel diary, now a popular movie and a New York Times bestseller. This new, expanded edition features exclusive, unpublished photos taken by the 23-year-old Ernesto on his journey across a continent, and a tender preface by Aleida Guevara, offering an insightful perspective on the man and the icon. "A journey, a number of journeys. 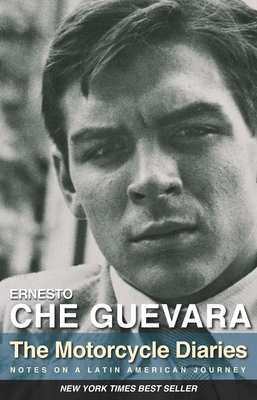 Ernesto Guevara in search of adventure, Ernesto Guevara in search of America, Ernesto Guevara in search of Che. On this journey of journeys, solitude found solidarity, 'I' turned into 'we'." --Eduardo Galeano "When I read these notes for the first time, I was quite young myself and I immediately identified with this man who narrated his adventures in such a spontaneous manner... To tell you the truth, the more I read, the more I was in love with the boy my father had been..." --Aleida Guevara "Our film is about a young man, Che, falling in love with a continent and finding his place in it." --Walter Salles, director of "The Motorcycle Diaries." Ernesto Che Guevara was a leading member of the revolutionary government in Cuba after 1959. He was appointed Minister of Industry and later, as head of the Cuban National Bank, his simple signature of "Che" on Cuba's banknotes angered the heads of international banks and finance capital who considered it a denigration of his office. - Aleida Guevara is the eldest daughter of Ernesto Che Guevara and Aleida March. She works as a pediatric specialist in childhood allegies in a Havana hospital and is a spokesperson for the anti-globalization movement.